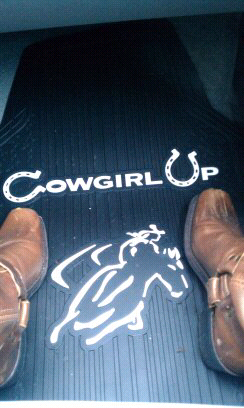 My moms new floor mats go well with my boots! Awwww, those are so cute! Haha! Absolutely love them! Your boots are adorable, too! haha omgosh that is too cute! love. I love the mats, super cute.